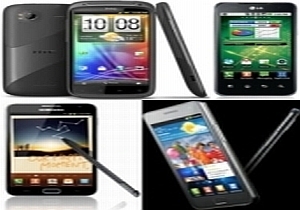 The smartphone boom has swept the nation as never before and everyone wants to possess a cool device that will wow all. However, selecting your mobile phone is no longer a simple exercise. Buying a branded handset (say, Nokia) does not essentially mean that you have the perfect device. Instead, you need to select the right mobile OS (operating system) that will best serve your purpose. Today, the most popular mobile OS happens to be Google's Android. It has been adopted by almost all popular handset makers, such as Samsung, LG, Motorola and Micromax, and enjoys a lion's share of the mobile OS market. What's more, some even consider it to be on par with Apple's iOS or even better. Although Apple's iOS is extremely popular, you will only find it in iPhones and that definitely hinders its reach and scale. In this article, we will take a look at some of the best Android smartphones available in the market. The mobile phones have been picked on the basis of their features and pricing has nothing to do with the selection process. The first choice was simple; it's none other than the Samsung Galaxy S II, touted by many as the true iPhone killer. Its superb AMOLED screen and a superior processor speed have made it an instant hit in the market. So, let us have a look at its features. Galaxy S II works on Android 2.3 (Gingerbread) operating system and has a 4.3 inch Super AMOLED Plus capacitive touchscreen (16 million colours) with 400x800 pixel resolution. It has 1 GB of RAM and a 1.2 GHz dual-core ARM Cortex A9 processor with Exynos Chipset. AMOLED (Active-matrix organic light-emitting diode) displays are made from organic material and Samsung's Super AMOLED display adds a touch layer to the AMOLED display. Super AMOLED Plus displays are even better than Super AMOLED that will provide vivid colour reproductions as the contrast ratio is very high and you can clearly see the separations of light and dark. The internal memory of the device is 16 GB/32 GB, which can be further extended up to 32 GB with a microSD card. The mobile phone has an 8 MP autofocus camera with LED flash that can record high definition videos (1080p) at 30 fps. It also has a front-facing 2 MP camera for video calling. It comes with Near Field Communication (NFC) and supports Adobe Flash 10.1. The dimensions of the device are 125.3mmx66.1mmx8.5mm and it weighs 116 gm. It also comes with a 1650 mAh battery. The Galaxy S II is slimmer than the sleek iPhone 4 and Sony Ericsson Xperia Arc, making it one of the thinnest mobiles currently available in the market. The phone is lighter, faster and thinner than the Galaxy S, and even at the thickest point, this phone doesn't go beyond the 1 cm mark. The mobile phone will also house an NFC (Near Field Communication) short-range, high-frequency wireless communication technology for contactless credit card payments. The device is available for Rs 30,000. HTC Sensation is the latest in the line of Android smartphones launched by the company and it incorporates a 4.3-inch S-LCD (gorilla glass encased) capacitive touchscreen with a 540x960 pixel resolution. It has 768 MB of RAM and a 1.2 GHz Qualcomm Snapdragon dual-core processor with an Adreno 220 GPU. It works on the v.2.3 Android Gingerbread OS and has the latest HTC Sense 3.0 user interface. The internal memory is 1 GB, which can be extended up to 32 GB and the dimensions of the device are 126.1mmx65.4mmx11.3mm. It weighs at 148 gm. 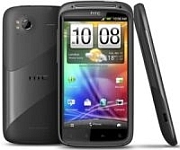 HTC Sensation has an 8 MP camera with dual LED flash and touch focus; it can record 1080p HD videos at 30 fps and has a front-facing VGA camera for video calling. HTC has introduced a new feature in this device called instant capture. What instant capture does is to capture a photo the moment you click the button, unlike the older devices where there was a time gap of a few seconds between clicking the camera button and the picture being taken. It comes with a Stereo FM radio with RDS and has a 1520 mAh battery. The mobile phone is available in black. The price of the mobile phone is Rs 29,600. Although a few more devices from HTC could have made this list (like HTC Incredible S or HTC Desire HD), we have stuck to only one mobile phone per handset manufacturer. LG Optimus was passably nice but the Optimus 2X has improved both in terms of specifications and looks, making it worthy of this list. This mobile phone has a 4 inch LCD capacitive touchscreen display with 16 million colours (480Ã—800 pixel resolution) and it runs on the Android 2.2 (Froyo) operating system that is upgradable to Android 2.3 (Gingerbread). It is powered by a 1 GHz ARM Cortex-A9 processor with Geforce GPU and a Tegra 2 AP20H chipset, and it has 512 MB of RAM. The internal memory of the device is 8 GB (extendable up to 32 GB with a microSD card). It comes with an 8 MP rear camera with LED flash that can record high definition videos (1080p) at 24 fps. A 1.3 MP front-facing camera is also provided for video calling. It also has GPS with support for Bing Maps and HTC Locations. The dimensions of the device are 123.9mmx63.2mmx10.9mm and its weight is 139 grams. The device has a 1,500 mAh battery that, according to LG, will provide up to 8 hours of talk time and up to 400 hours of standby time. The price of the mobile phone is Rs 25,990. Xperia Arc works on Android 2.3 (Gingerbread) operating system and has a 4.2 inch LCD capacitive touchscreen (16 million colours) with 480x854 pixel resolution. It has 512 MB of RAM and a 1 GHz Qualcomm MSM8255 Snapdragon processor with Adreno 205 GPU. The internal memory of the device is 320 MB, which can be further extended up to 32 GB with a microSD card. The mobile phone has an 8 MP autofocus camera with LED flash that can record high definition videos (720p) at 30 fps. Unfortunately, it doesn't come with a front-facing camera. The dimensions of the device are 125mmx63mmx8.7mm and it weighs at 117 gm. It comes with a 1500 mAh battery that provides up to 7 hours of talk time and 430 hours of standby time. The mobile offers Facebook and Twitter integration and supports Flash 10.2. The price of the device is Rs 27,270. Although this device has not been launched in the market, it must be mentioned in the list because of the sheer power it packs inside. The mobile phone has a huge 5.3 inch high definition super AMOLED multi-touch display screen (1280Ã—800 pixel resolution) and it runs on the Android 2.3 (Gingerbread) OS. Additionally, the company is providing 'S-Pen', an advanced stylus, for better input. Also, Samsung has combined the Samsung TouchWiz user interface with Samsung Live Panel user interface for enhanced user experience. Galaxy Note runs on a dual-core 1.4 GHz Exynos microprocessor with Mali-400 MP graphics chip (which means it is going to be a powerhouse) and it has 1 GB of RAM. The internal memory of the device is 16 GB, which can be extended up to 48 GB with the help of a 32 GB microSD card. It comes with an 8 MP rear camera with LED flash that can record full high definition (HD) videos (1080p) at 30 frames per second (fps). A 2 MP front-facing camera is also provided for video calling. The phone also has a new music player with SoundAlive feature (enhances audio) and a Stereo FM radio with RDS. The dimensions of the device are 146.85mmx82.95mmx9.65mm and its weight is 178 gm. The device has a mammoth 2,500 mAh battery, which is definitely more than many of the mobile phones, and it comes with A-GPS with Glonass. The pricing of the device is not yet available, but it should be over Rs 35,000.